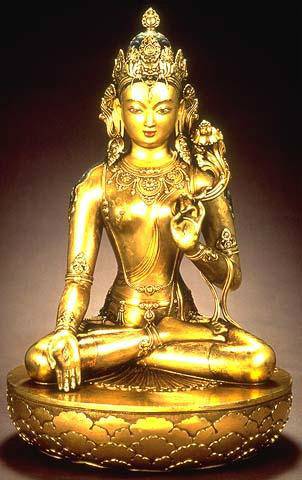 IN this meditation you meditate on Tara (the female Buddha), for protection. Benefits: helps you set healthy boundaries, provides protection and support, and encourages personal growth. WHEN: you are feeling unprotected and overwhelmed. Spend time observing colours in nature. Appreciate the brilliant colours of flowers and more subtle shades. 1. sit on a cushion or on a chair in a meditative posture. Visualise a beautiful female Buddha seated in meditation posture in front of you. Imagine a beautiful white light coming from inside Tara’s heart. Let it engulf you and enter your heart. From both your hearts, the light radiates out to form an egg-shaped shield that extends about 1.5m (5foot) from your body in all directions. Imagine that this shield brings peace to your life and your relationships. 2. Visualise a yellow-gold light coming from Tara’s heart. It enters yours and extends out forming another shield about 1.5m beyond the white shield, protecting you and helping rejuvenate your physical health. 3. Now visualise an orange-red light coming from Tara’s heart too yours and then creating another shield extending beyond the white and the yellow-gold ones. This shield helps you develop the power to be effective in your work, family and spiritual life. 4. Visualise brilliant blue light coming from Tara’s heart creating another shield as above. This shield helps you to set healthy boundaries in your personal and work life. 5. The light from Tara’s heart now turns a gorgeous green and creates yet another shield beyond the others you have already created. This green shield helps you to perform the many activities in your life. 6. Visualise the light from Tara’s heart turns a rust colour, creating the final shield. This shield stabilizes the others and makes them function. Feel Tara’s blessing and thank her for help. Know you can go forward in life with renewed energy, confidence and protection.